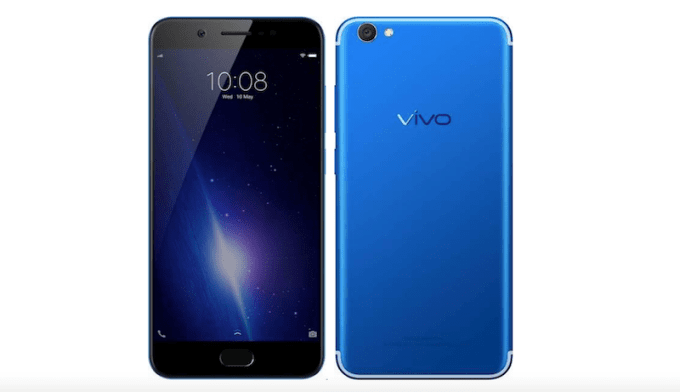 Vivo, better known for its loaded smartphone camera specifications, has unveiled V5s smartphone in energetic blue variant. The said device would retail exclusively via Flipkart at Rs. 17,990 for a limited period. The smartphone earlier priced at Rs. 18,990 is all set to get a 5% instant discount on all prepaid orders along with an exchange offer of up to Rs. 17,000 on all the three variants (Matte Black, Crown Gold, Energetic Blue). The other bonus perks being offered by the company include-extra 5 percent off on using Axis Bank Buzz credit cards, Rs. 2,000 worth of Goibibo hotel/ flight vouchers, and Rs. 500 worth of BookMyShow movie ticket vouchers. There are options of availing no cost EMIs too, starting Rs. 1,999/month. In terms of specifications, the Vivo V5s comes with a 5.5-inch HD display with 720 x 1280 pixels resolution and 2.5D Curved Gorilla Glass protection. Running on Funtouch OS 3.0 based on Android 6.0 Marshmallow it is powered by a 1.5 GHz octa-core MediaTek MT6750 SoC. There is provision of 4 GB of RAM along with 64 GB of inbuilt storage. The storage can be further expanded up to 256 GB via microSD card. However the USP of the handset are its camera features. Vivo V5s packs a stellar 20 MP front camera for creating the perfect lighting for the best selfies with ‘Moonlight Glow’ feature. Its 13 MP rear camera captures multiple frames in quick succession with dual-LED flash. The phone also features Face Beauty mode which touches up pictures to have social media-worthy photos. The front camera boasts of features as- Face Beauty 6.0, Voice Capture, Touch Capture, Palm Capture, Timer, Gender Detection and Mirrored Selfies. The hybrid dual-SIM phone (Micro + Nano) is fired up by a non-removable 3000 mAh battery support. Connectivity options on the smartphone include 4G VoLTE, Bluetooth v4.0, Wi-Fi 802.11 b/g/n/ac, Micro-USB with OTG, GPS/ A-GPS, and a 3.5mm headphone jack. Sensors include accelerometer, ambient light sensor, digital compass, proximity sensor, and a virtual gyroscope. All the three variants of Vivo V5s are currently available for sale via the online retail store Flipkart.